So you’ve been exercising every day (or at least a few times a week) and watching what you’re eating, and you’ve had great weight loss success. Then, all of a sudden, you hit a plateau, and that last stubborn ten pounds just won’t come off. If this scenario sounds all too familiar, don’t worry. Lots of people go through plateaus when it comes to their fitness goals. The workout and diet regime that you have been using for weeks or even months might have worked at first, but now it’s time to shake things up because your body has gotten used to your routine and it’s no longer working. Remember that when it comes to weight loss, there is one simple formula that works every time. You will lose weight if you burn more calories than you consume. So if you’ve stopped losing weight, then it means that you’re probably no longer responding metabolically to your exercise routine the way you use to. This is a perfect time to try some new things. While you want to monitor your weight loss and do it in a healthy way, it can be hard to be patient. Losing too much weight at one time is not good for your body, nor is it sustainable, but there are things you can do to accelerate your goals and get to where you want to be. 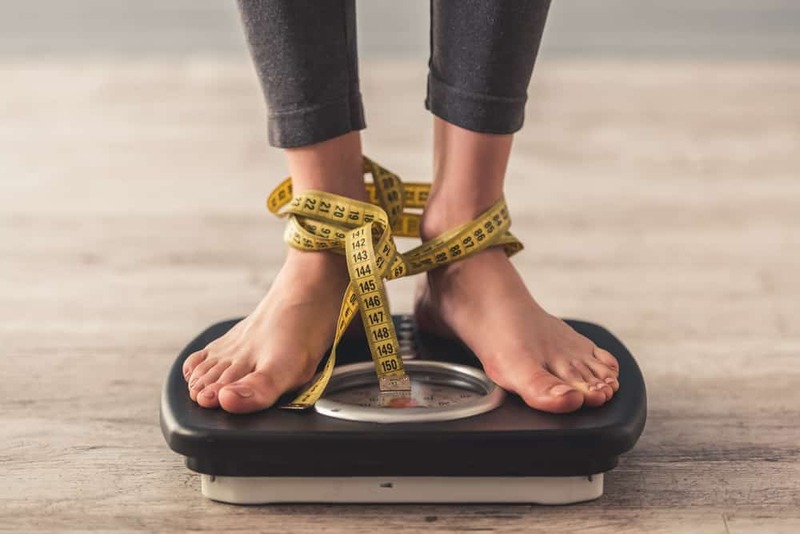 Here’s how to lose ten pounds fast using healthy tips to sustain your weight loss so that you can keep it off for good. 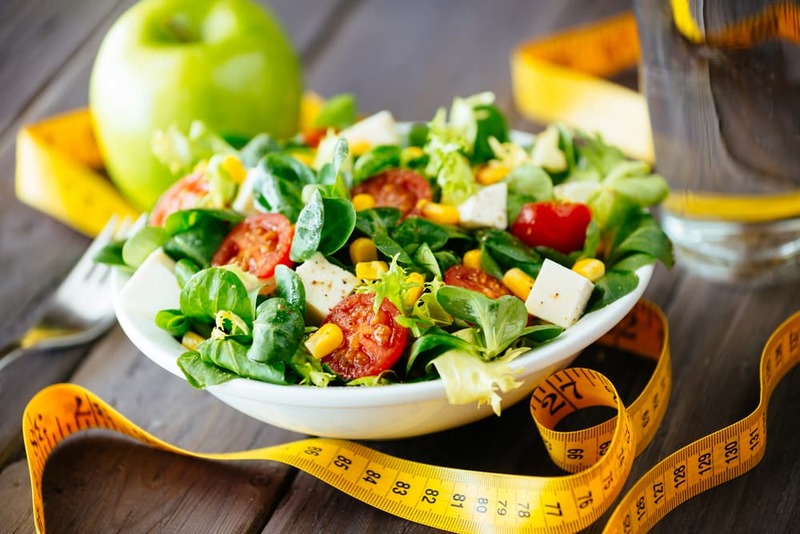 Sure, it sounds contradictory not to diet when you’re trying to lose weight, but there are several perfectly acceptable reasons why you should. First of all, dieting is restrictive, which means that you’ll resent not being able to eat the things that you enjoy. This could cause your weight loss goals to backfire by sneaking in treats every once and while. Next, dieting is not sustainable. No one should be expected to follow a strict food regimen for the rest of their life. It’s just not realistic. The best way to lose weight and keep it off for good is to think of your new food plan as a way of life. Dieting often means that you’ll do it for a short period of time and then return to your normal eating habits. But if you change the way you eat for good, you won’t have a meal plan to fall back on. Focus on making lifelong healthy changes, such as eating more fruits and vegetables. Try to get in at least one serving of each every time you eat. Save your treats and unhealthy snacks for a cheat day once a week. You’ll be far more likely to stick to your weight loss goals knowing that you’re allowed to have ice cream at the end of the week as opposed to never again. On the six days of the week that you don’t allow yourself to cheat, concentrate on making smarter food choices. Start by cutting your portion sizes in half. Small changes have a big impact on your life when you do them consistently. On the other hand, making drastic changes over a short period of time might get you results quickly, but they won’t be sustainable. Pretty soon, that last ten pounds will be history, and you will feel like you haven’t worked that hard for it! If you haven’t changed up your go-to workout at the gym since you started going, then it’s time for a change. Once your muscles become adapted to a certain exercise, it stops becoming a challenge, which means that you stop seeing results. To drop that extra ten pounds, you need to push yourself physically. Try adding in some workouts to your routine that you’ve never tried before or are even a bit scared to try because they look hard. For example, if you’ve been doing the elliptical for 20 minutes and then hitting the weight machines, try running or swimming instead and then focus on targeting different muscle groups when you lift weights. Burpees are a great full-body workout because they get your heart pumping and they burn massive amounts of calories. Plus, you’ll work your upper body, lower body, and midsection all at once. It’s the total body exercise move that you can do just about anywhere. To do a burpee, stand with your feet shoulder-width apart. Bend down or squat down and put the palms of your hands on the floor in front of you, near the outsides of your feet in a quick motion. Remember that you want to get your heart rate up, so movements need to be fast. Then jump both of your feet back until you’re in a push-up or plank position with all your weight evenly distributed over all four limbs. Once you’re in this position, do a push up by dropping your chest to the floor so that it touches. If you can’t do a regular push up, you can lower your knees here so that they reach the floor. But make sure you bring your knees back up when you get ready to return to the starting position. After you do the push-up, jump your feet back toward your hands and firmly plant then underneath your body. Explosively jump up into the air and reach your arms above your head. Jump as high as you can and when you come back down, start the move over. Sound too easy? Try doing a bunch of these in a row! Sometimes you don’t realize how much you’re eating in a day until you write it down. Then you’re forced to take a good, hard look at your diet so you can see where you need to make improvements. 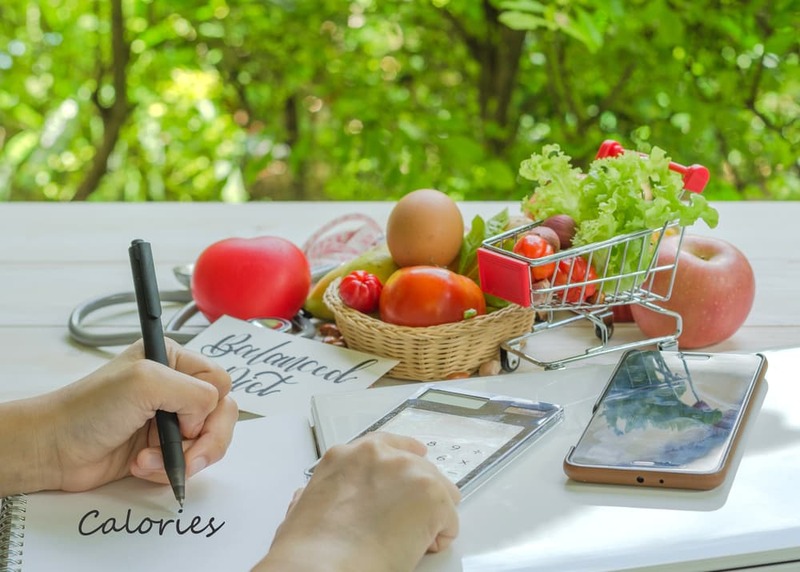 Keep a notebook with you in your car or at your desk so that you can track everything you eat, including the time you ate it, how much, what the portion sizes were, and where you ate it. You might notice that you eat more when you watch TV or sit in front of the computer during meal time, so making this small change in your day can help you reduce the calories that you need to drop a few pounds. It also helps to note where your food came from. For example, did you stop at a sandwich shop for lunch or did you bring one from home? Packing a lunch or eating at home can help you make healthier decisions as you know exactly what’s going in your food. Sometimes there are added sauces or ingredients in your store-bought foods that tack on calories that can be making it harder for you to lose weight. Admit it. Every once and awhile sometimes unhealthy sneaks into your shopping cart, and you have no idea how it got there. Ok, so maybe you put it there. But that doesn’t mean you can’t take it out at the last minute. Use self-checkout to think about whether or not you really need that bag of candy. Green tea is one of the best things you can drink when you’re trying to lose weight. Research shows that green tea contains a compound known as EGCG that has powerful metabolism boosting and fat burning properties. Green tea works especially well when you pair it with an exercise program. 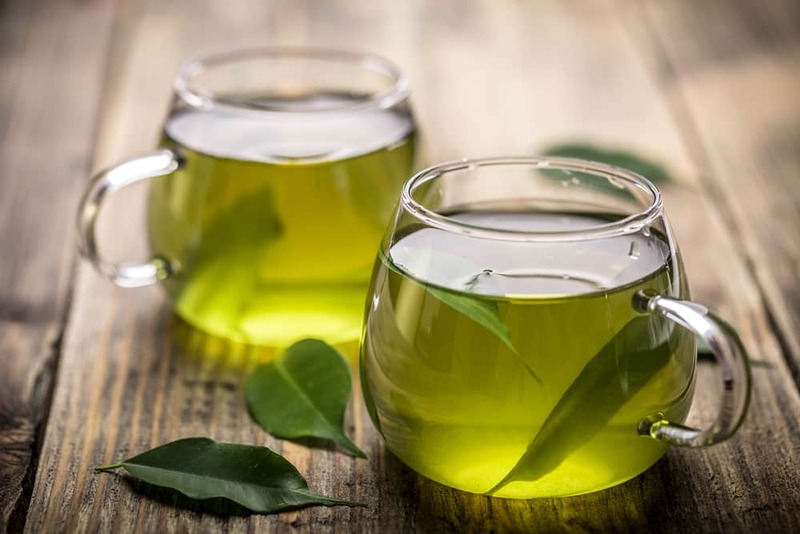 One study found that men who took green tea every day and exercised burned 17 percent more fat than those who did not take green tea but still exercised. Another study found that green tea can help you burn as many as eight percent more calories even at rest. Sip on some in the morning instead of coffee and enjoy another cup in the afternoon to help you get through the rest of the day. Some people like to drink it before working out because the caffeine gives them a natural boost. Most people don’t realize it, but sleep is an important part of the weight loss process, especially if you workout. During sleep, your body’s cells clean themselves out and remove dysfunctional proteins and other waste, so it’s important to make sure you’re getting your ZZZ’s. Peak levels of human growth hormone are also released at night when you’re sleeping, which is needed to help you build lean muscle mass that burns calories even when you’re not working out. Studies show that people who get eight to nine hours of sleep have better weight loss results than people who only get five or six hours at night. Sleep deprivation also causes you to crave comfort foods that make it harder for you to lose weight, and it reduces your ability to utilize insulin and other important hormones that are needed to control appetite. Try going to bed at the same time every night and waking at the same time every day to help set a schedule, even on weekends. 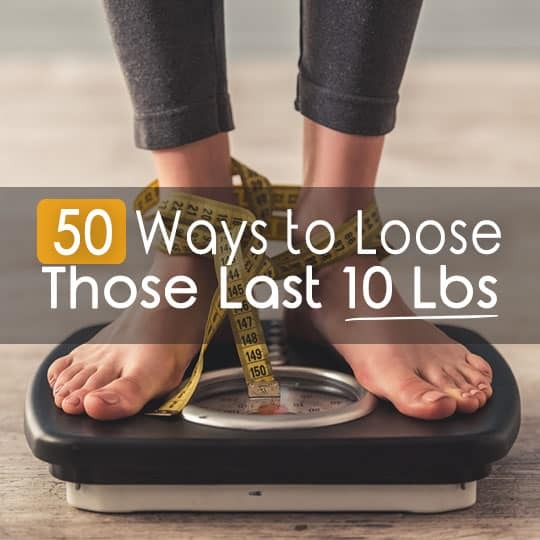 If the pesky ten pounds that you’re trying to lose is in your abdominal area, then the best thing you can do is give up processed foods, such as chips, granola bars, fast foods, macaroni and cheese box mixes, hot dogs, and sweets, just to name a few. Research shows that these foods contain twice as many calories as naturally unrefined whole foods, which means that you’re getting way more calories than you bargained for when you eat them. Plus, processed foods often come in large packages and they are easy to eat a lot of. So staying away from them, in general, is a good idea. Not to mention, processed foods cause inflammation that is linked to obesity, diabetes, and other chronic conditions. An easy trick that you can use to help you lose that extra ten pounds is to take everything you eat and cut it in half. This is especially good advice when you eat out because the portion sizes that you’re served at restaurants are usually huge! If you order food out, cut it in half as soon as it comes to your table and put the other half in a to-go box before you start eating. This way, you won’t be tempted to eat it, and you’ll have lunch or dinner for the next day. 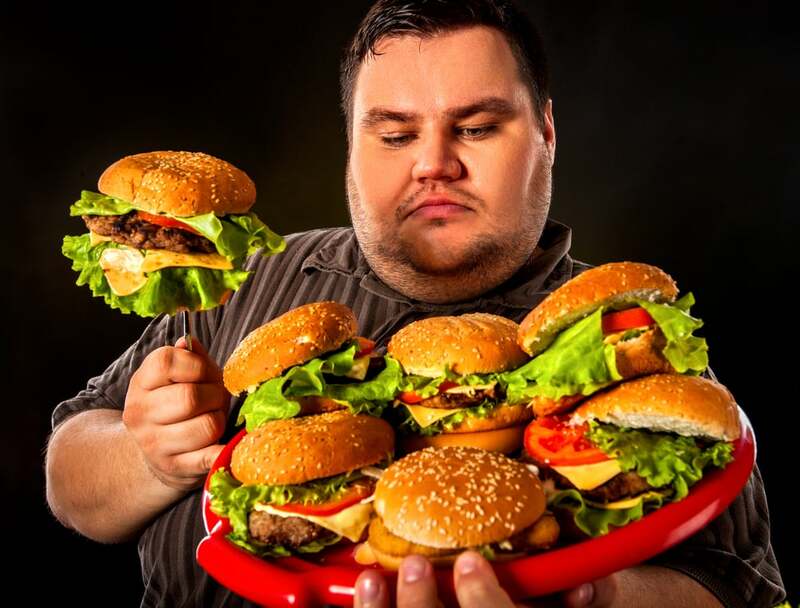 Many people overeat because they are anxious, depressed or simply bored. These feelings put your body under a tremendous amount of stress all day long, which causes inflammation and weight gain. Not to mention that many people eat as a coping method for their anxiety, which results in added calories. Find a healthy way to deal with stress that doesn’t involve food. Exercise is a great stress reducer. It doesn’t even have to be strenuous. A quick walk after work will do. Or try waking up a few minutes early each morning to focus on your breathing or do some yoga. When things get stressful during the day, and you can’t escape, close your eyes and take a few deep breaths. The idea is that you want to manage stress before it becomes detrimental to your health. Any exercise is better than none at all, but if you’re constantly working out at low levels of intensity such as a slow job, then you probably aren’t doing much for your waistline. Short bursts of high-intensity exercise is a great way to blast calories. You could try jogging for two to three minutes and then sprint for one minute, and so on until your workout is done. High intensity gets your heart rate pumping, and it works different muscle groups than low intensity, which is a perfect recipe for losing weight and toning up. It’s easy not to count the calories you drink as part of your daily total, but these babies add up. 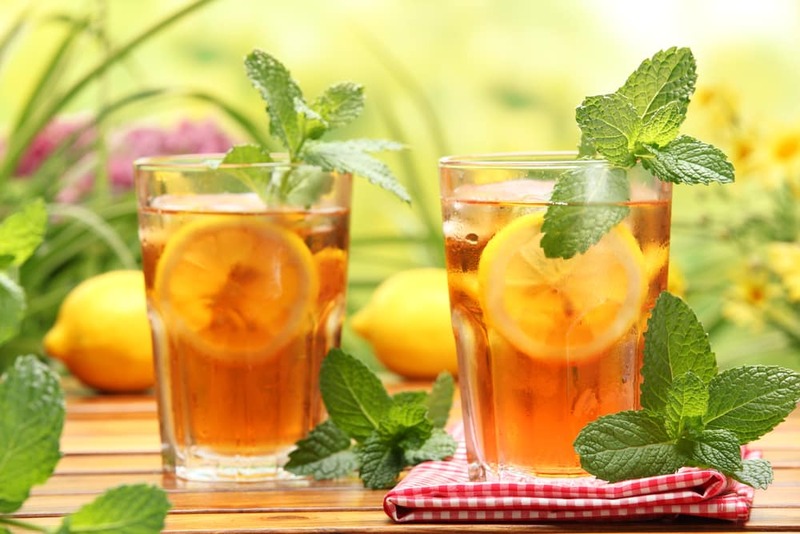 Avoid drinking anything that contains calories, such as sweetened iced tea, fruit juice, and alcohol. Stick with water, tea, and coffee as they do not have calories. Freshly squeezed juice can be a healthy treat every once and awhile but should be avoided if you’re trying to lose weight because it’s easy to drink a lot of it. That’s because unlike eating whole fruit, juice lacks fiber, which slows down blood glucose dumping and assists with the digestive process. Save your favorite juices, energy drinks, or even your favorite alcoholic beverage for your cheat day only. Sauces contain a great deal of added sugar and empty calories, which means that you should avoid eating them to make every calorie count. 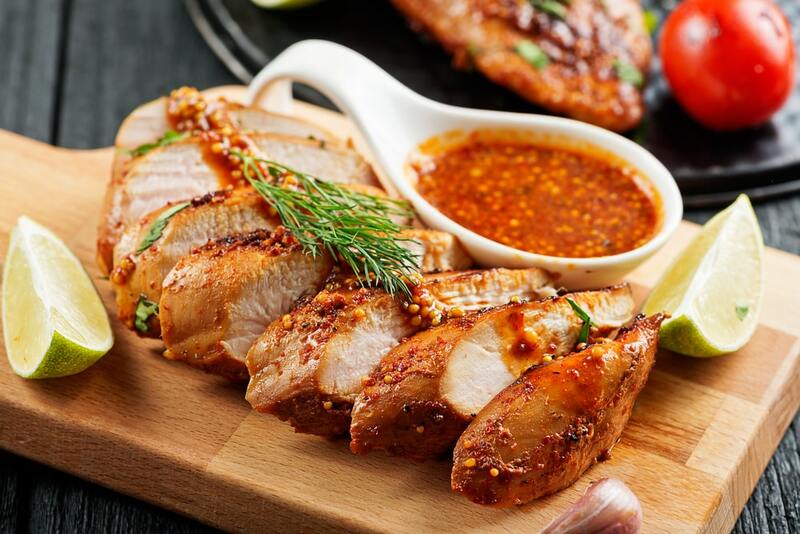 Instead of dousing your meats in barbeque sauce or dipping your veggies in ranch, try healthier options instead. You can make your own salad dressing by combining two tablespoons of olive oil with one tablespoon of freshly squeezed lemon juice. Dip vegetables in guacamole, salsa or hummus instead of unhealthy dips, and make your own marinades with olive oil, red wine vinegar, and your favorite spices. Most people find that they don’t need to disguise the flavor of their food with added sauces when they buy higher quality cuts of fish and meat, such as grass-fed and wild caught. 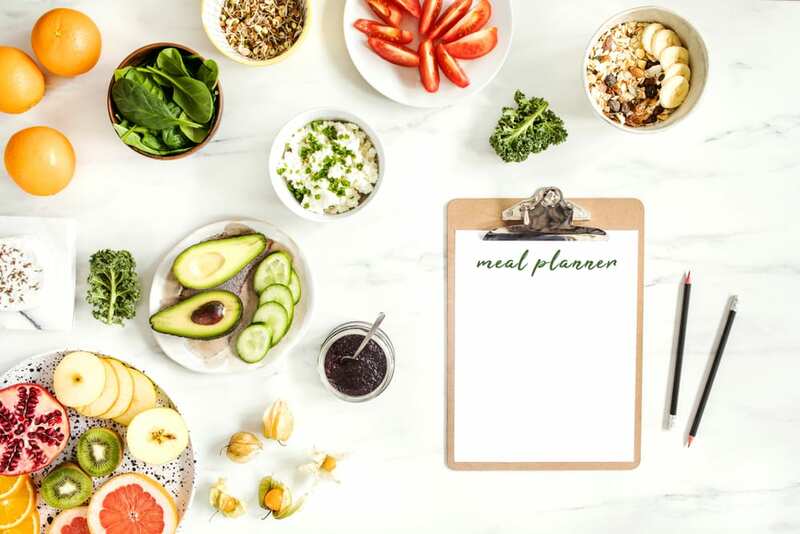 If temptations or food cravings always seem to derail your healthy eating intentions, then take the pressure off of yourself by making your meals ahead of time. Doing so will mean that you’ll be more likely to eat the healthy food that you already made instead of hitting the drive-through when you’re hungry. Plus, you’ll be spending your weekly food allowance on healthy food that you prepare at home, so you can tell yourself that eating at home is more budget-friendly anyway. Dedicate one day a week to meal prep. Most people do it on Sunday. Get a six pack of chicken breast and grill them along with your favorite vegetables. Prepare a big pot of brown rice, and you have dinner for the rest of the week. Try prepping your breakfast the night before by putting some overnight oats in the refrigerator so that it’s ready first thing in the morning. Prep your lunch and snack the night before, too. Most people think that to lose weight, they have to do a lot of aerobic exercises. So they spend most of their time at the gym on the treadmill or elliptical machine. While it’s true that you need these types of activities to lose weight, you also need to lift weights. Resistance training is what builds lean muscle. And the more lean muscle you have, the more calories you burn even while resting. If you’re new to lifting weights, aim for three sets of ten reps for major muscle groups and don’t do the same exercises every time you lift. Consult a personal trainer if you’re unsure about lifting. Once you have been doing it for several weeks, try doing fewer sets and reps of more substantial weight to increase your strength. Doing so will help you burn more calories and raise your metabolism. Plus, it feels great to feel strong! You read that right. To help you lose that last ten pounds, stop becoming so picky about how much you eat and start paying attention to what you eat. In other words, focus on quality over quantity. You’re not doing yourself any favors by obsessing over calories. Additionally, it’s not ideal to keep up the calorie counting for the rest of your life. When you learn to eat whole, unrefined foods, you can stop counting calories and start living. Whole, unrefined foods are naturally higher in nutrients because they haven’t been chemically altered. Your body prefers these foods and will respond quickly when you eat them. 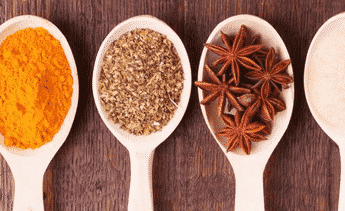 People who switch from a traditional Westernized diet to a whole foods diet typically find that they have a better relationship with food because they’re finally getting the nutrients they need. As a result, they feel satisfied and don’t need to eat as much, which helps you lose weight. Don’t wait to address that stubborn ten pounds of fat until you have a wedding or some other important event coming up. Do it now and don’t wait for someday. Remember that the longer you wait to make changes, the harder it will be. Grab your calendar and write down weekly goals for yourself. Aim for losing two pounds a week and write down when you want to have this accomplished by. Then write down your plan of action each day and commit to following it now, not later. If you’ve tried everything and still can’t lose that last ten pounds, then you might want to try a detox. Before you cringe, keep in mind that a detox is what you make it. You don’t have to forego solid food for a week and only drink liquids. In fact, this type of detox isn’t recommended. Sure, you’ll lose the weight. But you’ll gain it back and then some as soon as you start eating again. 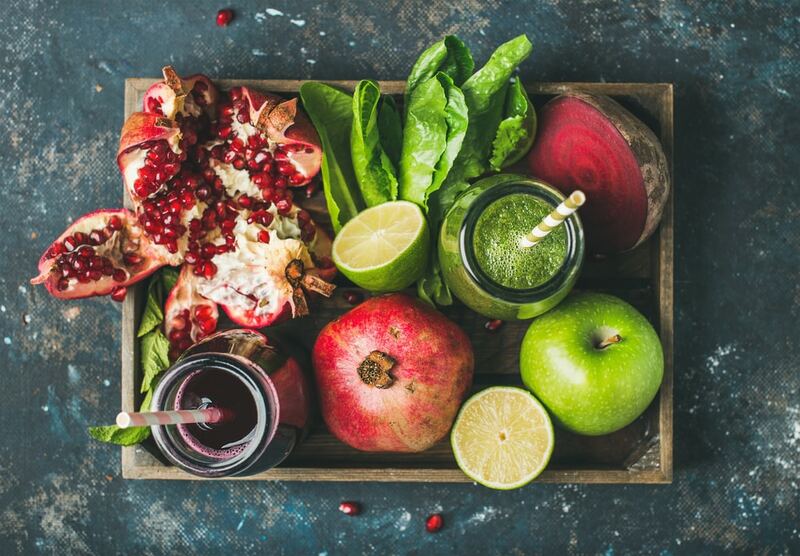 Instead, try to detox by eating more foods that contain naturally occurring antioxidants, fiber, and flavonoids to help clean your system out, such as green, leafy vegetables, berries, turmeric, pineapple, beets, lemons, asparagus, and wild salmon. 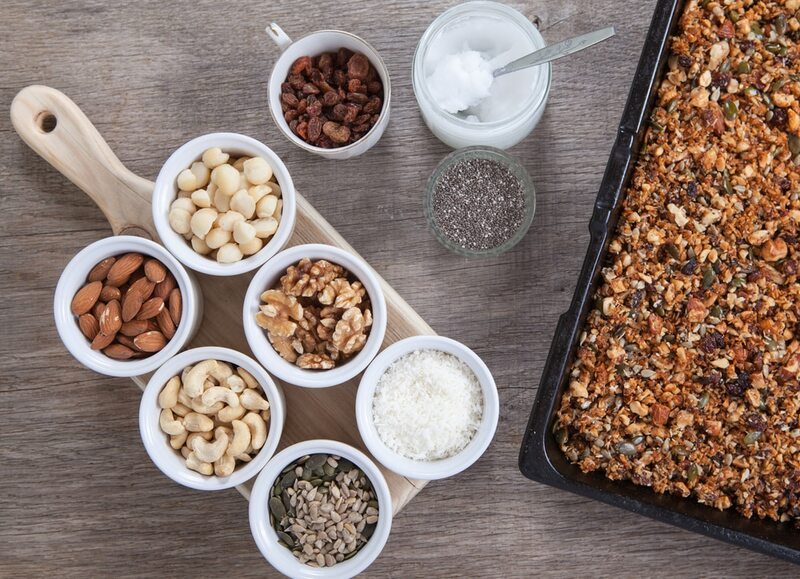 Cut out all dairy, processed grains and gluten for a week or so to help tame any inflammation in the body and get the digestive system working in tip-top shape for better metabolism, absorption, and digestion. 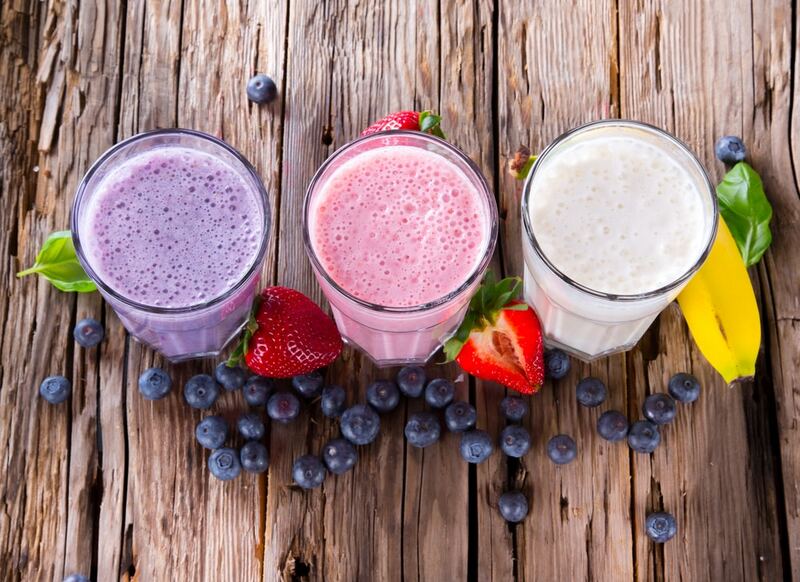 Start your day off right by switching your morning meal from whatever it currently is to a green smoothie. Try to get in at least one serving of fruit and vegetables along with some healthy fats for nutrient absorption. Use unsweetened almond or coconut milk as your base and throw in about a cup of fresh spinach, a half of an avocado as a thickening agent, one cup of frozen fruit, and a tablespoon or two of nut butter. Add a pinch of sea salt to help bring out the sweetness of the fruit. After a few days of drinking this, you should notice that you feel better first thing in the morning and you may even drop a few pounds, especially if cereal is your usual morning meal. Research shows that the majority of people fail to meet the recommended daily intake of water, which means that a lot of people are walking around dehydrated! This is especially harmful if you’re trying to lose weight. Water plays several important roles in the body. First, it keeps your digestive tract running smoothly. And the most efficient this area of your body is, the more waste you’ll excrete. Plus, you’ll absorb nutrients that help you lose weight better. Water also helps naturally clean out the body by flushing toxins out. So drink up! Eight glasses of water a day is recommended for most people. But if you’re active, try getting more than this. Once upon a time, breakfast was considered the most important meal of the day. But thanks to recent research, we know that intermittent fasting is the best new way to lose weight, and the easiest way to practice is by skipping breakfast each day. 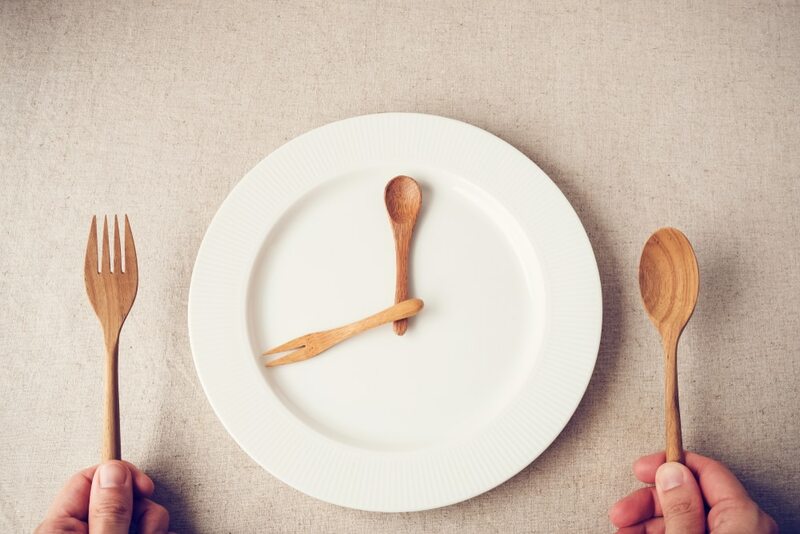 Intermittent fasting is a method of eating that only allows you to eat within a certain amount of time. The idea behind fasting is that our ancestors went long periods of time in between meals and so can you. Most people find that skipping breakfast or another meal throughout the day here and there is the easiest way to fast without feeling like they’re starving. While you don’t have to restrict carbs throughout the entire day, try giving them up after a certain time, such as 6 pm. The idea behind this is that your body doesn’t need starch late at night because it will store it as fat. Try having a lean protein for dinner with vegetables and give up the bread or side of rice. 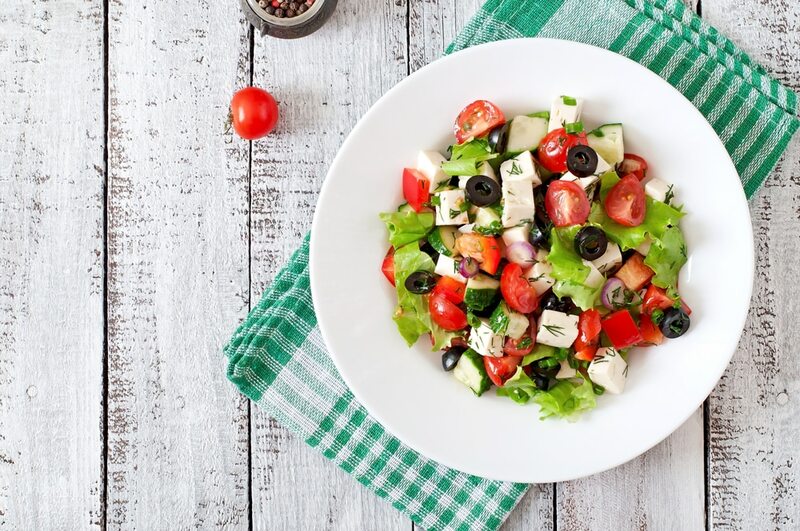 Before you eat lunch or dinner, try eating a big salad with lots of vegetables first. This will help you eat less when it’s time for your actual meal. Plus, you’ll be getting in some nutritious vegetables to help you lose weight. While we’re on the topic of salads, always ask for an oil and vinegar instead of the traditional ones (ranch, Italian, etc). If the restaurant doesn’t offer this, then try some fresh squeezed lemon over your lettuce greens. It will add some flavor without all the calories. Sometimes picking the main dish is easier than choosing sides at a restaurant. There are a couple of safe options you should always go for if given a chance, such as fresh fruit instead of french fries, tomatoes instead of toast or hash browns, and a side salad instead of mashed potatoes. Trust us. It’s worth the upcharge. Love potatoes? Who doesn’t? Because white or russet potatoes lack the nutrients that other vegetables do, it’s best to replace them with foods instead. They also tend to be higher in carbs, which can make it hard to lose weight. 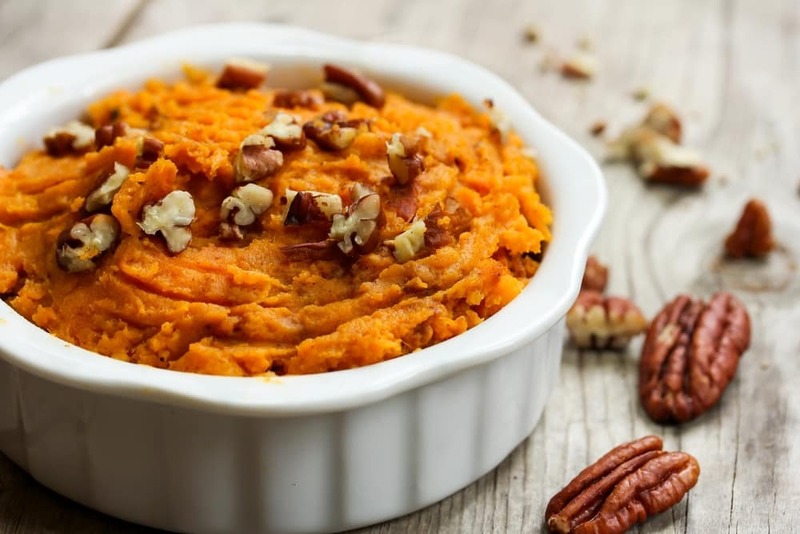 On the other hand, sweet potatoes are highly anti-inflammatory and full of fiber to help you lose weight. Some medications cause weight gain, which could be the reason why you’re not losing that last ten. Even some over the counter medications such as aspirin and painkillers change the health of your gut bacteria, which can prevent you from losing weight. While you might not be able to adjust all of your medication dosages, you can at least ask your doctor if there is another medication you can take that won’t cause weight gain. Fiber is your ticket to a smaller waistline, says lots of research. 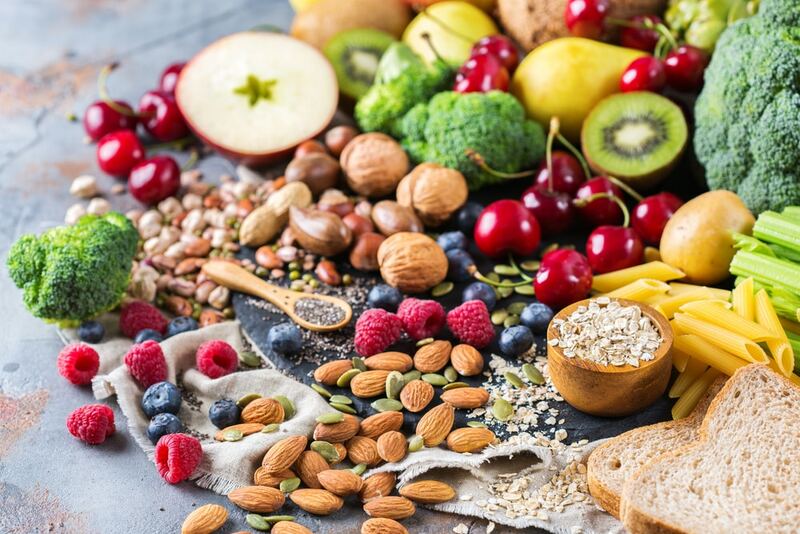 In addition to improving the efficiency of your digestive system, fiber also helps you feel full for longer, which means that you’ll be less likely to overeat. Good sources of fiber include oatmeal, avocado, fruits, and vegetables. Avoid taking fiber supplements as these can cause gas and bloating. If you know you shouldn’t be eating it, then get it out of your house. Keeping unhealthy foods in your pantry makes it almost certain that you give into temptation eventually. This includes potato chips, sweets, soda, ice cream, and anything that you consider a weakness. Remind your family members that they can eat these foods outside the house if they want but that bringing them inside is a big no-no. A lot of people think they are doing something good for their health by using artificial sweeteners instead of the real thing, but this couldn’t be farther from the truth. Artificial sweeteners are dangerous because they change your gut bacteria, which causes inflammation and weight gain. 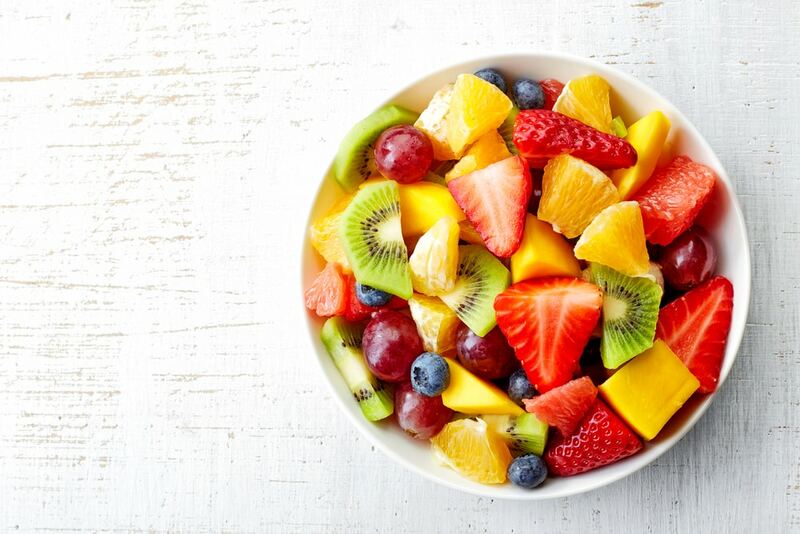 You’re better off using natural sources of sweetness to add to your foods, such as fresh fruit. Ask your family and friends to help keep you on track if you’re trying to lose weight. This means that you’ll have a second set of eyes when it comes to food or exercise mistakes. They can also hold you responsible if you tell them that you plan to drop the ten pounds by a certain date. Whenever you buy or order fish, make sure it’s wild-caught as this means that it has not been treated with antibiotics or other harmful additives that farm-raised fish has. Over time, these toxins can build up in your system and contribute to inflammation and weight gain. The ketogenic diet is one of the best diets out there for weight loss. It might take awhile for you to get into ketosis, but the weight loss results are pretty amazing once you do. Most people find that it’s hard to eat keto long-term, but you can take what you learn during your time on keto and apply it to your current diet for a blend of the two. Anti-nutrients are ingredients such as saponins, lectins and phytic acid that inhibit the absorption of some nutrients. They also cause inflammation that results in bloating and weight gain, especially around the abdominal area. You can find these anti-nutrients in grains, beans, and legumes. Soak them before eating or try sprouted grains to avoid problems. 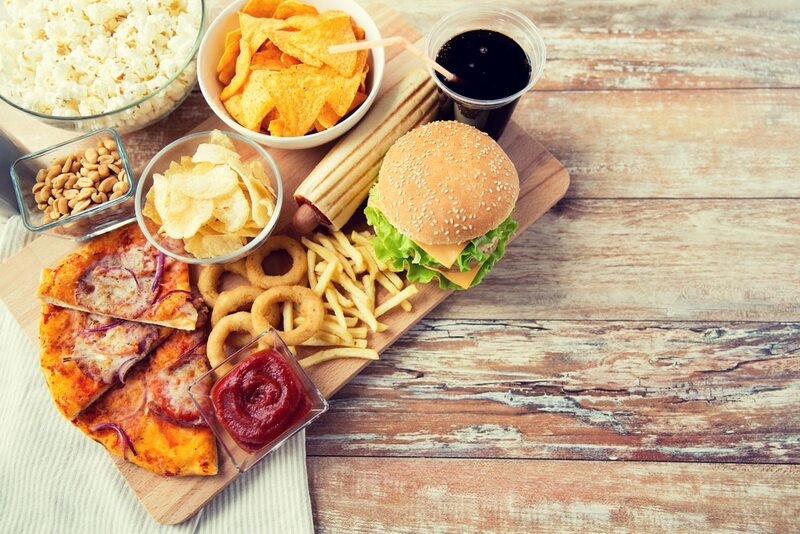 Giving up your favorite unhealthy foods is never easy. Luckily, you don’t have to nor should you when trying to lose weight. Practice mindful eating instead by becoming aware of the foods you’re eating to help you enjoy them more. Savor each bite and take your time chewing. You might just end up eating less than you expected. How many people do you see everyday eating their food on the run? They’re in their car trying to eat while driving or eating while standing up on their lunch break because they’re trying to do two things at once. Make your meals your main priority when you’re feeding yourself. Sit down, relax, and focus only on eating. Chances are you’ll pay more attention to how much you eat. Let’s face it. Working out can be tedious. But everything is more fun with a buddy. If you’ve been lacking the motivation to hit the gym lately, then ask a friend to join you. You’ll be less likely to skip out knowing that someone is waiting for you. If you’re finding it hard to find time to workout, then you’ll just need to find ways to make exercise fit into your schedule. For most people, this includes when they’re at work. If you’re close enough, try riding a bike or walking/running to work. You can keep a spare set of clothes at your office and change when you arrive. Use your lunch break to take a yoga class or come into the office an hour early so you can leave early and hit the gym on your way home. You might have to adjust some things around, but working out is always worth it. If you have the choice, try to exercise in the morning instead of at night even if you have to set the alarm clock for earlier than you’d like. This will ensure that you get it in. It’s all too easy to get busy or make excuses at the end of the day. But the beginning of the day is yours! Plus, you’ll spend the rest of the day knowing that you have your exercise session out of the way. 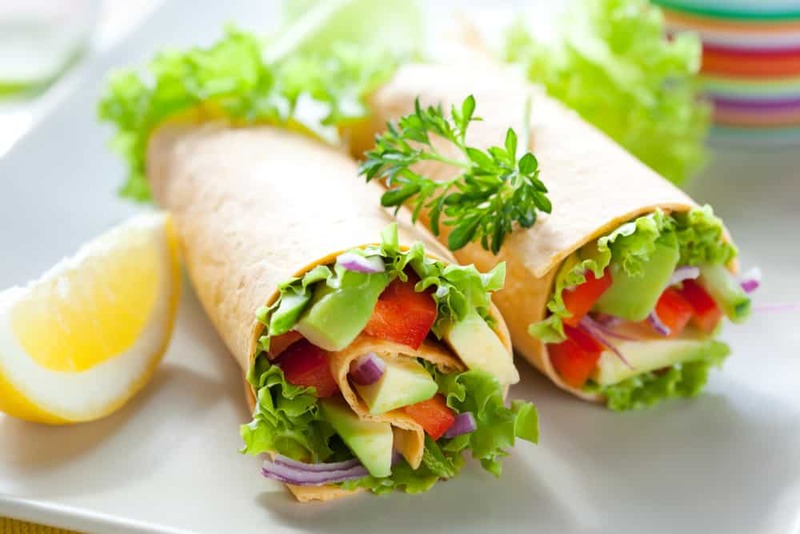 Sandwiches are the perfect lunchtime food, but they can be killer for your low-carb eating plan. You can still eat your favorite sandwiches, but try using a lettuce wrap to hold them together instead of two slices of bread. Or at the very least, throw one of the pieces of bread out and just eat one. This sounds like a silly tip, but trust us on this one. You’ll be more likely to workout when you have exercise clothes that you look and feel good in. Don’t wear a baggy cotton T-shirt and oversized pants or wait until you reach a certain weight before investing in moisture-wicking workout clothes. Do it now and let that be your motivation for workout out harder. If you’re trying to avoid gluten, then you know that is an endless supply of gluten-free choices just waiting for you. But don’t be fooled. Most of the time, these foods are worse for you than the actual gluten itself. Food manufacturers often try to make up for the taste and texture of gluten by adding preservatives and other inflammatory ingredients. Your best bet is to stay away from these all together and eat more produce instead. 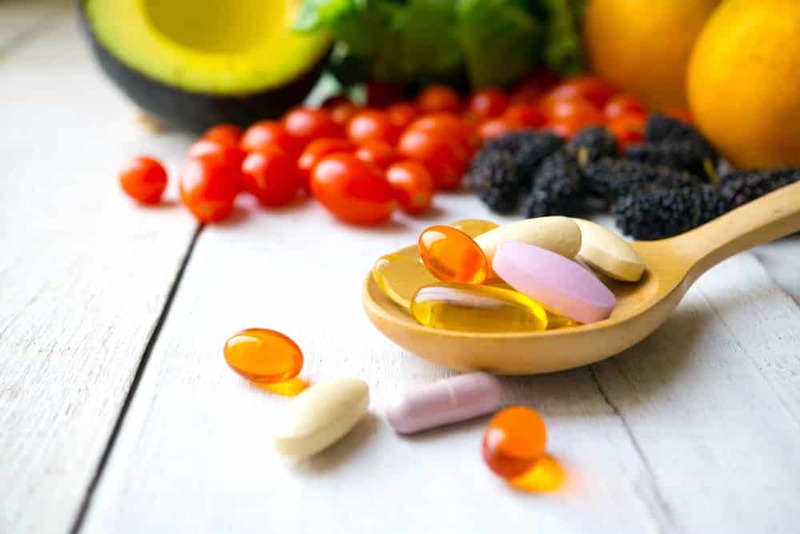 Most nutritionists recommend that everyone takes a multivitamin nowadays because of our constant exposure to toxins. Look for a whole food, plant-based multivitamin to help fill in the nutritional gaps that could be causing you to overeat. Craving pasta tonight? Try using zucchini or sweet potatoes vegetable noodles instead of the real thing. Sounds crazy to you? Don’t knock it until you try it. We bet you won’t even be able to taste the difference after adding some lean protein and your favorite tomato sauce. Investing in a good set of headphones and a sound system is a good way to keep motivated during your workouts, especially if you’re working out alone. Turn up your favorite tunes and let the music move you. Literally. This is an important tip. Remember that you can never out exercise a bad diet. So this means that if you ate something bad today that was 400 calories, you can’t go out for a four-mile run and expect it to even out. The body doesn’t work that way, and neither does this mentality. Getting outside for your exercise session is a great way to relieve stress because you’ll be connecting with nature and getting some fresh air. Look for a yoga class in the park or ask a friend to do some sprints with you after work. Trends are everywhere you look, and the health industry is no exception. No matter what you hear on television or read on the internet, remember that there is no exception for good nutrition. This means that only eating a grapefruit a day or drinking cayenne pepper water with maple syrup is not a healthy way to lose weight. Don’t fall for it. Instead, stick with what you know works, such as hard work and a proper diet.